Is it too early to start getting hype? The roster for this year's Evolution Championship Series has been announced. EVO 2015, the largest fighting game tournament in the world, will feature: Ultra Street Fighter IV, Ultimate Marvel vs. Capcom 3, Super Smash Bros. for Wii U, Guilty Gear Xrd -SIGN-, Killer Instinct, Mortal Kombat X, Persona 4 Arena Ultimax, Super Smash Bros. Melee, and Tekken 7. That's a nice collection of games, but there's a disappointing dearth of BlazBlue after last year's legendary grand final. Oh well, there's still plenty of Arc System Works goodness to go around. 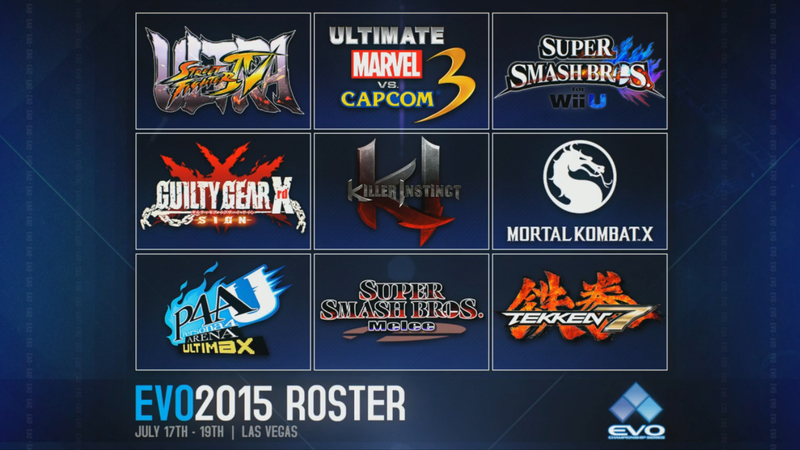 EVO 2015 is scheduled to take place July 17-19 at the Bally’s / Paris Las Vegas Hotel and Casino.